Substitute teaching is one of the most difficult jobs in education. It is also one of the most important. It takes a remarkable person to be able to adapt effectively to all the situations that will be thrown at them as a substitute teacher. Substitute teachers are used in virtually every school across the country every day. It is vital for school administrators to compose a list of top notch people who can successfully substitute teach. Flexibility and adaptability are probably the two most important characteristics that a substitute teacher must possess. They must be flexible due to the fact that they are often not called until the morning of the day they are needed. They must be adaptable because they could be subbing in a second-grade classroom one day and a high school English class the next. There are even times when their assignment will change from the time they are called to the time they actually arrive. Although it is beneficial for a substitute to be a certified teacher, it is not a requirement or necessity. A person without formal training in education can be a successful substitute. 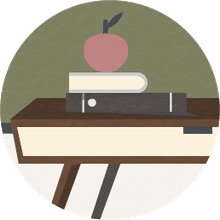 Being a good substitute teacher starts with an understanding of what you are expected to do and also knowing that the students are going to test the waters to see what they can get away with and be equipped to deal with any obstacles. Some school districts require new substitutes to attend some type of formal training before they are placed on the substitute list while others do not. No matter the case, you should always try to schedule a short meeting to introduce yourself to the building principal. Use this time to let them know who you are, ask them for any advice, and find out any specific protocol they may have for substitute teachers. Sometimes it is impossible to meet with the teacher but always do so if you have the opportunity. Although meeting the teacher in person is ideal, a simple phone conversation can be extremely beneficial. The teacher can walk you through their schedule, provide you with specific details, and give you a lot of other relevant information that will make your day go smoother. Always try to obtain a copy of the school’s student handbook. Have a solid understanding of what the school expects from their students and teachers. Some schools may even have a substitute policy designed to protect substitutes from poor student behavior. Carry the student handbook with you and refer to it when necessary. Don’t be afraid to ask the principal or a teacher for clarification. It is essential to understand that every district has its own unique student handbook. While there will be similarities, there will also be significant differences. It is essential that you learn each school’s procedures for emergency situations such as a fire, tornado, or lock-down. Taking the time to have a firm understanding of what is expected of you in these situations can save lives. In addition to knowing the overall protocol for an emergency situation, it is also vital that you have knowledge of emergency routes specific to the room you are subbing in as well as how to lock the door if necessary. Being professional starts with how you dress. Make sure that you know the district’s dress code for teachers and adhere to it. It is equally crucial to understand that you are working with minors. Use appropriate language, don’t try to be their friends, and don’t get too personal with them. Arriving early is a key component of your day. There are so many things a substitute needs to do to ensure that they have a fantastic day before school begins. The first thing they need to do is to report to the appropriate place. After checking in, a substitute should spend the remainder of their time looking over the daily schedule and the lesson plans, making sure that they have a clear understanding of the material they will be required to teach that day. Getting to know the teachers in the rooms around you can provide you with a lot of assistance. They will likely be able to help you with questions specific to the schedule and the content. They may also be able to give you additional tips specific to your students that could benefit you. Finally, it can be beneficial to build a relationship with these teachers because you may have the opportunity to sub for them at some point. Every teacher runs their room different, but the overall makeup of the students in the room will always be the same. You will always have students who are class clowns, others who are quiet, and those that simply want to help. You want to identify the handful of students that will be helpful throughout the day quickly. These students can assist you with finding materials in the classroom, making sure you stay on schedule, etc. The classroom teacher will be able to tell you whom these students are if you are able to visit with them beforehand. This is the single most crucial component of being an effective substitute teacher. Students of all ages are going to push a substitute to see what they can get away with. Start the day off by setting your own expectations and rules. Don’t let them get away with anything. Hold them accountable for their actions and don’t be afraid to assign them consequences. If this doesn’t get their attention, then go ahead and refer them to the principal. Word will spread that you’re a no-nonsense substitute, and students will begin to challenge you less and less making your job much easier in the long run. The single biggest thing that will bother a regular classroom teacher about a substitute is for the substitute to deviate from their plans. The teacher leaves specific assignments that they fully expect to be completed when they return. Deviating or not completing these activities is seen as disrespectful, and you can bet that they will ask the principal not to put that substitute back in their room. A teacher wants to know how your day went. It is beneficial to include students that were helpful as well as the students that gave you problems. Be detailed including what they did and how you handled it. Address any issues you may have had with the curriculum. Finally, let them know that you enjoyed being in their classroom and give them your phone number to contact you should they have any additional questions. It is important that you leave the room in as good of or better condition than it was when you arrived. Do not let students leave materials or books strung out all over the room. At the end of the day, take a few minutes to have the students help pick up trash on the floor and get the classroom back in order.